Over the past years I came into a number of ships and boats, inherited from friends who left Wurm or moved away. 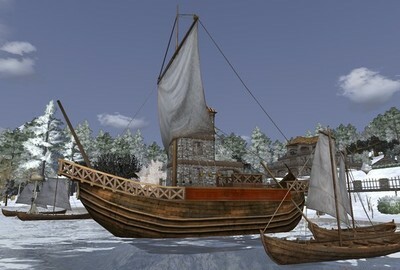 I now made up my mind to drastically reduce the size of my fleet and sell some of the vessels. All ships come with a mooring anchor, a lock and a key. The ships are for pick up in southeast Deliverance, but I can also deliver to most of the coastal places of the Freedom islands (except Chaos, the east coast of Xanadu, Pristine & Release) - contact me for arrangements. As long as ownership is transferable when you examine it then there are no problems and it shows that the boats are indeed owned by the person selling them. The missing keys are as simple as misplacement years before. Often you can lockpick them as the owner too and then replace with a better lock. Often you can lockpick them as the owner too and then replace with a better lock. Ah, that's a good idea. I'll try that - maybe I can attach new locks to those 2 ships. Thanks, Nappy. Why? They will just have a different look. There's an old glitch where keys often went missing when crossing server borders. Many keys were lost this way. With a bit of patience and luck, lower ql boatlocks can be picked fairly easily. Goodluck with sale and free bump. The cog has a brand new lock and key now. All ships have locks and keys now! Added another corbita (No. 2a). Smooth transaction and very helpful. The corbita is the largest of the ships I can offer. 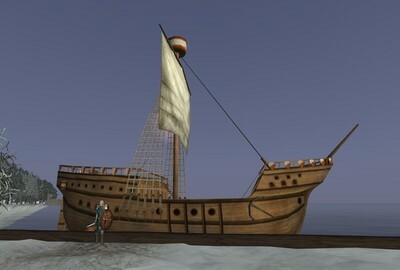 It can hold 49 large crates or 85 small crates or 100 rafts (according to Wurmpedia). You need 21.05 mind logic to command that ship. A corbita, 2 sailing boats and a rowing boat are still available. A corbita, a sailing boat and a rowing boat left! Hey Yaga! Interested in the sailboat or rowboat!